In being able to potentially offer ebooks for free and from anywhere, against the retail model of payment, the digital public library now challenges the wider book market's pricing, revenues and licensing models. Apparently, a group of trade publishers now wish to change the commercials based on ebooks being different! However, they appear to want to still align them to the physical product's commercials. It is claimed that HarperCollins has already revised its terms for new e-book loans, limiting the number of times an e-book can be licensed for checkout to 26. The revised terms, which will apply only to new titles come with a short statement from HarperCollins that they are , " committed to the library channel. We believe this change balances the value libraries get from our titles with the need to protect our authors and ensure a presence in public libraries and the communities they serve for years to come." There is nothing wrong with the realisation that digital is about licensing titles within a perpetual collection. However tying a digital licence to the commercials of an outright purchase makes little sense. The notional '26' license is not based on a annual rental value, but on the average lifespan of a print book, the wear and tear on circulating copies and what is seen as a lifetime of one year for a popular e-book title based on a lending period of two weeks. Apparently today Macmillan or Simon and Shuster are not even permitting any library circulation of their e-books. Digital books are digital full stop. Mixing them with physical books does not make sense as one is purchase and the other clear licence. eBooks don’t wear out so claiming that as the pricing model is naive. The lending of digital media can be controlled effectively in terms of concurrent lending, territorial rights and removal of access. They don’t sit in huge library repositories, but often with aggregators and libraries merely access their own collection. So why can’t all parties sort this out properly and create a proper digital framework and avoid what some would see as posturing and ill thought out strategy? Instead of imposing one after another restriction and shoehorning digital terms into physical ones, why not look at a new model and avoid the mixed messages and alienating a major channel and consumer interface? Players such as Bloomsbury licence their innovative library shelf and European services such as eBog have clearly separated the digital from the physical. A group of libraries led by the Internet Archive have announced a new, cooperative 80,000+ eBook lending collection of mostly 20th century books. 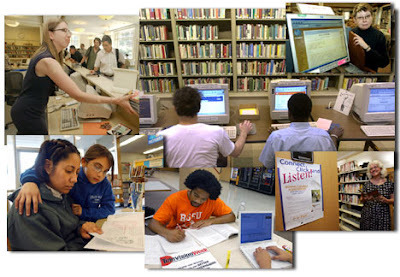 OpenLibrary.org, today offers over 1 million eBooks. Overdrive may dominate today, but we have yet to see Google’s reach and Amazon and others are all champing at the bit to get into rentals and lending. All services are capable of integrating with library management systems to ensure registration and community catchment are valid and it is easy to ensure that the number of copies available at any time relates to the licence. Why not make the ‘licence’ tiered to offer a range of lending rights and terms? At the basic level we could have a restriction to allow a single concurrent loan on an annual licence. We then could allow the concurrency of access to increase in bands based on licence fee, effectively buying bands of access at title level. We could permit ‘on demand lending’ based not on individual collection but the whole repository and where the charge is retrospective based on actual loans and on usage not on filling virtual shelves with ebooks which may not move. On demand could be a charged premium service. The institutional and academic markets have long risen to the flexible approaches to collection licensing but its as if the trade is either naïve to these options, or seek to reinvent the wheel. As we increasingly move towards on demand streaming. digital loans and rental for ebooks we have to recognise that common licensing models make sense. The digital options are many and the opportunity to engage and invigorate the public library channel is significant. 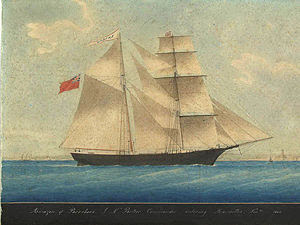 The Mary Celeste was a brigantine merchant ship that was found on 4 December 1872 in the Atlantic Ocean unmanned and apparently abandoned, in fine weather and in seaworthy condition and still under sail heading towards the Strait of Gibraltar. She had over six months' worth of food and water on board, her cargo was virtually untouched and the personal belongings and valuables of passengers and crew were still in place, including valuables. The greatest maritime mystery of all time. We ask what has happened to the Google Book Settlement (GBS) and whether this will become a book industry mystery like the Mary Celeste? The Google Book Settlement unleashed great emotion within the book trade and book community. It divided many a house and was widely criticised or rejected in the international community. it was rejected by the US Justice Department who some say had to stand up and enlighten some sleeping passengers. We opposed it from day one and even after its somewhat botched rewrite still failed to address the orphan issue. It is somewhat surprising therefore that Judge Chin has still to rule on the last Google Book Settlement Fairness Hearing. People put in both cost and effort and although there were strong points of view expressed with 21 speaking against the revision and 5 speaking for it, one year on, we still await a ruling. Judge Chin announced upfront that he would not make a ruling on the day but sometime soon. We haven't seen either a date or a time frame and still wait whilst the world changes, orphans remain are exposed and copyright remains wedded to the past. Some would suggest that there never will be a ruling and the settlement is dead. Others would suggest that the settlement is still alive and with time the opposition will just forget and the ruling may be slipped through on a bad news day. Google have continued to move forward and although holding fire on the orphans the rest is business as usual. The rights registry sits gathering dust with a designated leader but little else. The payments that authors may have expected for not opting out, are suspended or forgotten? CES 2010 was the springboard for ereaders with many new devices coming to the market. It was clear that there would be casualties and that one eink reader looked and was priced very similar to another. Last year we saw Plastic Logic QUE ProReader stumble along with the REX family and we now have Spring Design’s Alex eReader biting the dust. The Alex reader caught many people’s attention due to it having dual screens and a little wrangle with Barnes and Noble over who came first. The Android-powered dual-screen device had both a 6-inch eInk display and 3.5-inch capacitive LCD touchscreen. Why it and others failed is down to a thousand and one reasons not least of which is that consumers tend to minimise their risk and basically create and back winners not also rans. A device by itself is just a lone device going nowhere. A device that is part of a broader ecosystem and who that is tied to a platform offer such as Amazon and Kobo make sense. Also we have to acknowledge that not many local offers will survive unless they are effectively operating in a huge ‘local’ market such as Barnes and Noble. So who is next to fall on their sword and do we care? The market is getting stronger but that doesn’t mean that it can accommodate more ‘lookie likies’ it just means its getting stronger. The BBC recently ran a series of programmes which brought home the changes in High Street retail and how retailers have had to adapt to cultural, competitive and economic changes over the ages. It is easy to now see the next big step change taking place today, as Internet shopping grows and increasingly grabs the consumer and the cash. This is a very real challenge to bookshops who find they are facing a similar changing landscape to that which faced the High street baker, butcher and greengrocer when the supermarkets stepped up their game. They always misguidedly believed that it was the tactile nature of the business that guaranteed their survival. Unfortunately that is no longer the case. They now not only have the Internet, which many have entered too late, or simply failed to realistically grapple with, they have a digital explosion, that to date, they have they thought wasn’t their business and to make matters worse they now find themselves competing with supermarkets who are wanting to cream off the volume traffic. Many small grocery retailers survived the supermarket explosion, but in doing so, had to also step up their game and realise that there was no divine right to retail. . Some argue that the ones that will suffer most are the chains and it is clear that they are suffering. However it would be very arrogant to presume that the slack will be merely taken up by the independents, it won't. Booksellers need to focus on what it says over the door and sell books, used, new, classics, remainders and not just continue to be hoodwinked into believing that the consumer only wants the latest release. It’s interesting that the only clear beneficiary from the demise of Borders was Kobo who had effectively used the brand to capture the digital footfall and when Borders stumbled into Chapter 11 still continued their business as usual with the customers Borders had effectively given them. Overdrive have built a strong and expanding library business on the back of the library community’s inability to build their own service. There are a number of aggregated ‘white label’ offers but few co-operative ones and it’s easy to hand over customers and business as an affiliate but its hard to get them back once change happens. It is always important to own both the brand and the customer and not merely hand them over and the future to others. 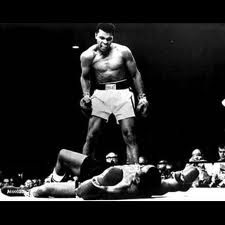 Many say it is impossible to compete and see doors as closed.However it is these players who will loose long term. It is not all doom and gloom on the High Street and neither is the super Highway paved in gold. There are many positives and shoots of new opportunities and the only certainty is the tomorrow will be very different from today and learning to adapt to change is the key. Apple's iPhone has slipped from number one to sixth place in the list of the most sought after smartphones in the UK claims mobile tracker uSwitch.com which ranks the UK’s favourite mobile handsets based on live searches and sales. 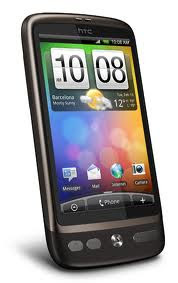 HTC dominate with their Desire model number one followed by its HD brother and the Wildfire model. Them comes the Blackberry Curve, The Samsung Galaxy and then the Apple iPhone 4. HTC has certainly stolen the mantel and have build a formidable contestant and range of offers. 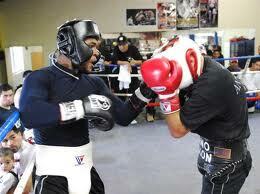 They are not offering just one option and have exploited Android technology to compete head to head with Apple. The big challenge is whether they will now step up and take on Apple on the iPad with a similar approach or leave that battle to the likes of LG, Samsung, Dell, HP etc? Amazon has announced the launch of new video streaming service that gives Amazon Prime members unlimited, commercial-free instant streaming of more than 5,000 movies and TV shows. Previously the Amazon Prime service was about offering free shipping irrespective of the purchase price for just US$79 per year. Now for no extra charge Prime members get the new service effectively for free and Amazon is even offering a one-month free trial of Prime to non members. This is creative cross selling and creation of a premium media and shipping service. The movie and TV show content can be instantly accessed on Pcs and some 200 Internet connected TVs, Blu-ray players and set-top boxes. Netflix now is clearly in Amazon’s sights and although its streaming catalogue is considerably larger Amazon's overall catalogue for rentals and purchase exceeds 90,000. The combination offer of Prime and streaming services could not only kick start the new service but will ultimately boost sales of physical and digital products. It is a clever strategy which may be restricted today to the US but points to what they can do with their recent LoveFilm.com UK acquisition. Amazon is now laying a cross media and cross border architecture which could be very attractive and even negate them the worry of the toll booths that Apple has misguidedly erected. It is feasible that Amazon can now extend streaming to music, ebooks whatever and I doing so create a premium service for all. Window tax was introduced in England and Wales in 1696, effectively taxing houses by the number of windows they had. Many windows were merely bricked up and impact can still be seen today in many old buildings which is where the phrase 'daylight robbery' comes from. Like many unjust taxes it itself can change people and their relationships with previously trusted parties. Google have now created their own tax in response to Apple's tax. Some would say ‘anything you can do, I can do better,' First it was mobile phone platforms, now its payment toll (tax) booths. Apple first raised the hairs on most publisher’s necks when it declared that it wanted a tax cut of everything bought on its iPlatform. Whatever logic, 30% was the demand and they effectively opened up the first subscription toll booth on their stretch of today’s super highway. Google then stepped in announcing their own payment toll both called 'One Pass'. It was different is some ways, but very similar in others.However the cherry on the top was that they choose to only levy 10%. Google’s ‘One Pass’ payment system for magazine and newspapers also gives publishers greater freedom to offer different deals though different channels and importantly maintain a close relationship with their subscribers. However both charges appear extreme when lined up with merchant card charges. One unfortunate aspect of this high profile sparring is that Apple may just get off the hook from landing into heavy antitrust concerns over its iPad newspaper subscriptions services. Andris Piebalgs, an EU commissioner, wrote in a response to questions from a Belgian member of the European Parliament that the commission ‘couldn’t judge whether Apple has a dominant position because the tablet market is “relatively new and evolving.’ In the US, the Justice Department and the Federal Trade Commission are looking into whether Apple’s plans may violate US antitrust laws. The Wall Street Journal reported, that the US inquiry is preliminary and may not develop into a formal investigation or lead to any action against Apple. So in the minds of the market, 10% plays 30% and its going to be hard for Apple, if as expected, Android tablets join Android mobiles in dominating the market. 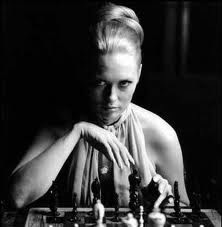 It also makes Amazon look almost saintly and a victim. Finally, any self respecting media organisation will now start to think twice about the app-based model of distributing content and move towards a new level of web-based services based on a HTML5 world. Apps offer so much but now clearly carry a new and dangerous health warning to media businesses. It is somewhat ironic that its was another Steve Jobs edict that raised the profile of HTML5. Some say that his greed may hasten that world he desired and it may also now drive a Flash based revival. The one thing that is certain is that publishers do not welcome having to pay taxes every single time they deliver value to consumers. Borders Take the First Step On The Road to Nowhere? Today Borders finally filed for Chapter 11 bankruptcy protection in a Manhattan Federal Court. The total debt is $1.29 billion and it lists the top 30 unsecured creditors listed with publishers and distributors being owed some $230 million. 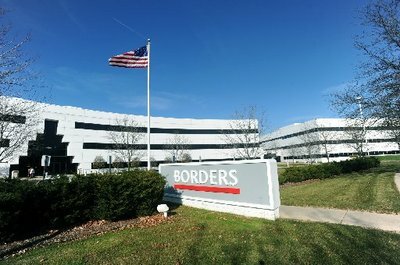 Borders expect to close some 200 of their 642 stores but will continue to trade under Chapter 11. Chapter 11 is not the end of Borders and many US companies have come back from Chapter 11 and now a lot depends to the fincial restructuring and appointed management services. A lot also depends on their now somewhat strained relationship with suppliers. It’s ironic that like others, they failed to see the threat of Amazon and the consumer trend online. By the time the woke up some seven years later, found a market dominated by Amazon and a thriving online book space. Even with ebooks they decide to partner and spread their bets. They were ideally positioned to go multi media but as music, games and Video went online they were left with cavernous spaces to fill and a name not synonymous with online. o, building loyal relationships with millions of customers. The fact is that others, such as WalMart, Costco etc, were also after their customer and revenues, and were squeezing them further. 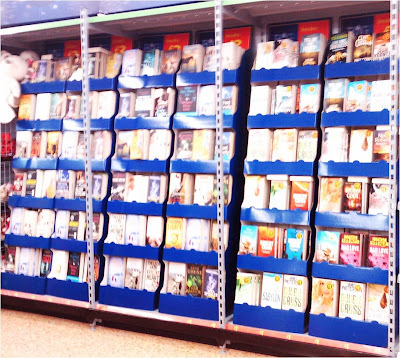 Does any market now need or can they even support more than one bookchain? Does the chain have to be on the High Street or can it now operate on the virtual High Street? The bottomline is that the industry looses yet another link in the existing chain and it is highly likely that Amazon will step up to capture the customers and business. It is hard to see Borders coming out of Chapter 11 without some serious downsizing and refocusing and time is not on their side to do this. Some would suggest that publishers are being held to ransom by Apple and it ever changing rules as it strives to earn a value share of everything sold on its platforms. Sony already have one huge spat with Apple over Apple’ds rejection of Sony’s ebook app. Another service Sony plan to launch later this year will enable mobile phone users to pay and play first generation PlayStation games on their handsets. Again this looks like a head to head crash between Apple and Sony. It is an uneasy situation with content aggregators building cross device platforms whilst content publishers grapple to keep control of their content and pricing and device manufacturers, such as Apple, still remain firmly aligned to selling tin and software but want more. Below is the press release from Apple re their new subscription service which is in line with what was generally expected. The muddy area is with respect to subscriptions outside the app and how this is to be handled as Apple clearly don’t get paid but also want to have the same offer inside the app and to process this through their own system.However, publishers are not allowed to provide in-app links to let customers sign up outside their apps, and Apple stipulates that in-app subscription prices remain either the same or less than their counterpart offers. If I am an existing customer who signed up outside of Apple what happens on renewal? Do I opt for the convenience of doing it inside the app or go outside the app to renew? The renewal will be the same, the price should be the same, but if done inside the app, does Apple now claim 30%? Also worth noting is that Apple state that automatic subscription renewals would stop if a publisher raised its price, which raises the question again how renewals are done and who owns who. If I build an app to service what may be a B2B subscription do Apple expect to be able to offer this inside the app? When a subscription is bought inside the App Store, customers will have the option to give the publisher access to their name, e-mail address, and zip code. Publishers can ask customers for more information as long as a clear choice is provided to opt-out. The obvious question then is who owns who? Basically Apple are saying that publishers must accept Apple's subscriptions, or they can't be on the App Store and the subscriptions offered inside must be the same price or less as any other offerings. Finally, and the apps can no longer link to an outside store where users can purchase content. The demand that all app commerce must reward Apple is as bad as last year’s edict that only Apple tools can be used to build apps. 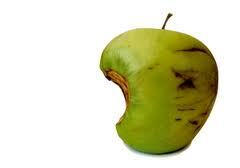 It is a stand that works when everyone is an Apple follower, but only alienates others and promotes them to compete. The rise in Android and greater adoption of the Kindle platform are obviously things that Cupertino can’t see but as we move into an ‘on-demand world’ do they expect 30% of everything and if they do we envisage a backlash. CUPERTINO, Calif.–(BUSINESS WIRE)–Apple® today announced a new subscription service available to all publishers of content-based apps on the App Store℠, including magazines, newspapers, video, music, etc. This is the same innovative digital subscription billing service that Apple recently launched with News Corp.’s “The Daily” app. Publishers who use Apple’s subscription service in their app can also leverage other methods for acquiring digital subscribers outside of the app. For example, publishers can sell digital subscriptions on their web sites, or can choose to provide free access to existing subscribers. Since Apple is not involved in these transactions, there is no revenue sharing or exchange of customer information with Apple. Publishers must provide their own authentication process inside the app for subscribers that have signed up outside of the app. However, Apple does require that if a publisher chooses to sell a digital subscription separately outside of the app, that same subscription offer must be made available, at the same price or less, to customers who wish to subscribe from within the app. In addition, publishers may no longer provide links in their apps (to a web site, for example) which allow the customer to purchase content or subscriptions outside of the app. Things are just about to get even smaller. Rember that portable ‘brick’ that was once your mobile phone, engineers at Harvard have developed a computer chip made of tiny "nanowires" which could become the foundations of a new generation of even smaller computers. Nature reports that the team at Harvard University has developed the nanowires that are thousands of times thinner than a human hair and at their core a germanium element sheathed in a silicon shell. The research has been partially driven by the realisation that the current manufacturing methods used in making chips will soon reach a point where it is impossible to shrink them further. The group's prototype design is based on a mesh of the nanowires containing nearly 500 ‘wires’ in a 1mm-square area, criss-crossed with normal metal wires. By laying a thin stack of semiconductor materials on top, the mesh can act as a complex collection of controllable transistors. It in fact builds circuits from the bottom up, which is the opposite of the way commercial circuits are built today. Although nanowires have the potential to occupy an area well under the current limitations, suffer less leakage of electrical current than current transistors, they do operate at significantly slower speeds. They will however further shrink technology and offer huge potential to a wide range of electronics. Tax can be taxing and those who think that business will always pay the price have had another potential wake up call this week. Amazon in long had a dispute with Texas state atre threatening to take their business elsewhere. Texas are claiming Amazon has to pay collect sales tax to the tune of some $265 million. Amazon’s battles with US states over tax are not new and only last year, it won a case against North Carolina's Department of Revenue, which had demanded records of 50 million customers' transactions between 2003 and 2010 in a dispute over unpaid tax. The state had passed a law demanding all residents to pay taxes on online purchases but those retailers who operate outside of the state can't be forced to collect state taxes. However the state tried to claim duty for the years Amazon had worked with a network of local affiliates. In court the judge ruled the records North Carolina sought were protected under the US constitution's first amendment. In order to avoid a similar challenge Amazon cut links with affiliates in Rhode Island and Hawaii where laws similar to North Carolina had been passed. Amazon sued the State of New York in 2008 over its law forcing big-name online retailers to collect sales tax on all goods shipped to the state. Amazon has been appealing against the Texas demand but now are apparently saying that they are not only scrapping plans to expand their Texan facilities, which would have brought tens of millions of investment dollars into the state and created over 1,000 new jobs, but may abandon the state and shut its Irving distribution facility in the Dallas Fort Worth area. 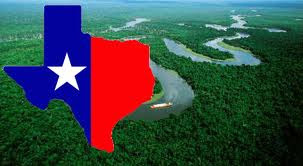 Texas are standing resolute stating that if you have a physical business presence in the state of Texas, you owe sales tax and estimates Texas loses $600 million annually in uncollected sales tax from all Internet-based sales. The US challenge is firstly one of consistency across states with the lure of neighbouring states often being more response to accommodate the investment and jobs. The challenge for Amazon is creating a logical physical distribution network and also accommodating local affiliate sales. We are now living in a global world that is taxed locally and inconsistently and this is not just a US state issue as the same applies across trading blocks such as Europe. Any none US resident business or individual wishing to ‘publish’ a ebook on Amazon or the major aggregators today has to grapple with US tax irrespective of where in the world the sales occur. Taxing only the businesses that have facilities in the state and not taxing those outside the state appears to be equivalent to self harm. Do Free Books Stimulate Market or Individual Sales? Author Neil Gaiman speaks to Rich Millington from ORGZine about books, piracy, copyright and the internet. The video is worth watching and stimulates many questions about promoting authors and books. If everyone followed this route what would be the impact and is it because everyone doesn't follow this route that this works or appears to work? The issue of how one is introduced to an author also bears some consideration but again it has always been the case and so begs the question - so what? Europe has Spotify and the US has Pandora and both are redefining how we listen to music on demand. Their models are similar in that they stream music but different in their construct, but both seriously question the need to own music tracks in the conventional way. Both have been highly successful, attracting millions of users and both have had a major impact on the economics of the music business. Now in a wave of confidence, Pandora have filed for an IPO. They now have 80 million registered users and add on average a new registered user every second! They claim over 50% share of all internet radio listening time among the top 20 stations and networks in the US. Users have created over 1.4 billion stations since their launch in 2005. In their last fiscal year ending January 31, 2011, they claimed to have streamed some 3.9 billion hours of radio listening. Importantly they enable both national and local advertisers to reach individual listeners based on their age, gender, zip code and music. 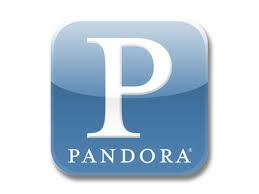 The future of internet radio and Pandora looks rosy and they now plan to; develop their advertising offer without compromising the music experience for our listeners, build their Ad Sales Force and Support Organization, expand their platform reach, expand globally outside the US and handle other content formats. Ex England Rugby captain Will Carling left his iPad on the train but was determined to get it back. He used the built in GPS to follow the device as it went literally around the houses and updated his progress to his 46,000 twitter followers. Logging on through his PC he could track its movements via MobileMe app and even sent a message to it telling the people who had it that it was being tracked. The device was eventually handed into the railway station’s lost property office and reunited with its owner. Users who watch BBC TV via their Anroid and iPad /Phone devices with no TV licence are unlikely to be caught. The new free app enables users to watch and listen to the BBC on the move and appears to be genuinely ‘free’. Mobile devices be they tablets or phones can’t be tracked and so can avoid the £145.50 licence fee. The detection is still very much based on addresses with 97% of households holding a licences and although the BBC plans to force a registration to catch offenders this would appear an easy one to avoid. We have all enjoyed Facebook apps on mobiles an dthey are some of the popular apps but now Facebook have gone one step further new HTC and INQ, Android smartphones that offer greater Facebook integration. A dedicated button will take the user straight to Facebook and will place Facebook features prominently on the home screen. The Facebook phones will feature video and photo alerts as well as text and home screen that instantly updates as friends post messages and pictures on the Facebook. This is not only a win for Facebook users but also Google’s Android platform. It offers retailers opportunities to seel and promote more on Facebook Places, which shares the user’s location with friends and provides special offers from retailers. The INQ Cloud based phones, which will also integrate the Spotify music on demand service. Earlier this week we wrote about the dire straights Nokia now find themselves i9n today as everyone seems to be passing them on their journey down the charts. As if to compound the issue they have now announced that they are to partner with Microsoft and that it will now use Microsoft's Windows Phone as its main smartphone platform, cutting research and development in its own platform which is dying on its feet. However some woulkd suggest that putting to lame dogs together doesn’t make a good one it merely puts two dead dogs together and could hasten the decline of both. The once dominant Finnish phone market looks as if it is going to experience terminal decline and the appointment last year of Stephen Elop, a former Microsoft executive, as CEO looks like it set the agenda and there are even rumours that he may relocate to Silicon Valley. Combining Nokia with Windows Phone platform looks ill conceived and is highly unlikely to draw users away from the rampant Android and iPhone platforms. Google’s Android operating system is driving the agenda and now is fast becoming the cornerstone of multiple manufacturers' smartphone strategies. Over 302.6 million smartphones were shipped worldwide throughout 2010. Does this mean that the PC era is coming to an end and we are in the era of the smartphone, or that the door is now opening wide for the tablet device to bridge? Convergence is unavoidable as technology shrinks and portability of applications rise through the rise in apps. We have yet to see the impact of dual Core processors which are due out later this year. Smartphones are no longer phones and now are mobile devices that pack a lot of power and being able to slip that into a pocket will always win over larger format devices. Yesterday we had to get our HTC Android mobile sent for a repair and were lent a ‘old device’ which may have some fancy links and gives us access to the essential Skype service but was like going back to the dark ages. Today Nokia reflects the gulf that has been created between the old mobile giants and the new iPhone and Android players. The reality is that Nokia like other technology companies before them believed that they had a licence to print money but the truth was they were only as good as their last phone. Nokia’s CEO, Stephen Elop, says in a note to staff which was published by Engadget, that the company is standing on a "burning platform" surrounded by innovative competitors who are grabbing its market share…The first iPhone shipped in 2007, and we still don't have a product that is close to their experience," He accepts that Android has now taken their number one position. Nokia has also stopped developing its devices for its MeeGo operating system. This is no surprise as it was a late move and one ill conceived Elop is quoted,"We thought MeeGo would be a platform for winning high-end smartphones. However, at this rate, by the end of 2011, we might have only one MeeGo product in the market." Nokia Chairman Jorma Ollila brought in Elop from Microsoft last September and on Friday Elop will deliver his strategy for turning Nokia around. The main challenge Nokia face is not at the device level but over the operating system and applications. The problem is not about can MeeGo get a kick start but what to do once it is buried? 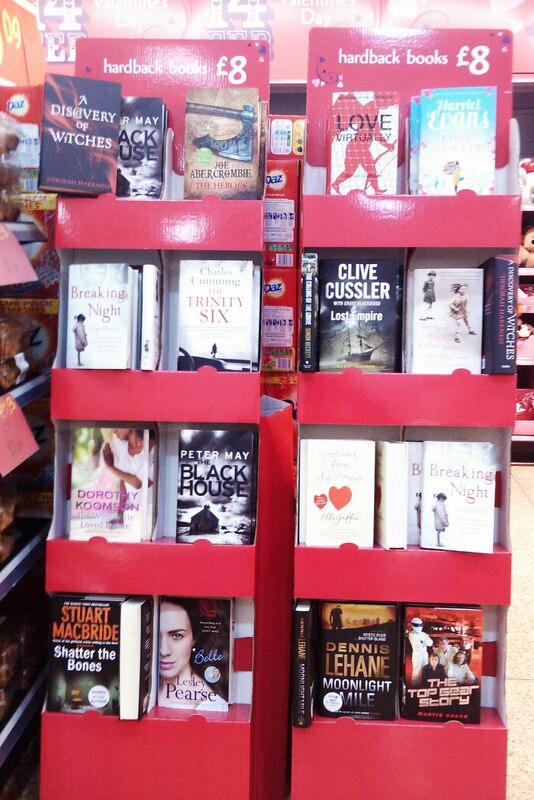 Its now February and still we find Asda are continuing to turn up the discount screw on books. This weekend we visited their store in Bristol and found many shelves filled with the £1 'b format' offers we previously covered, but now also some special £3 large format offers and one rack of £8 hardbacks. 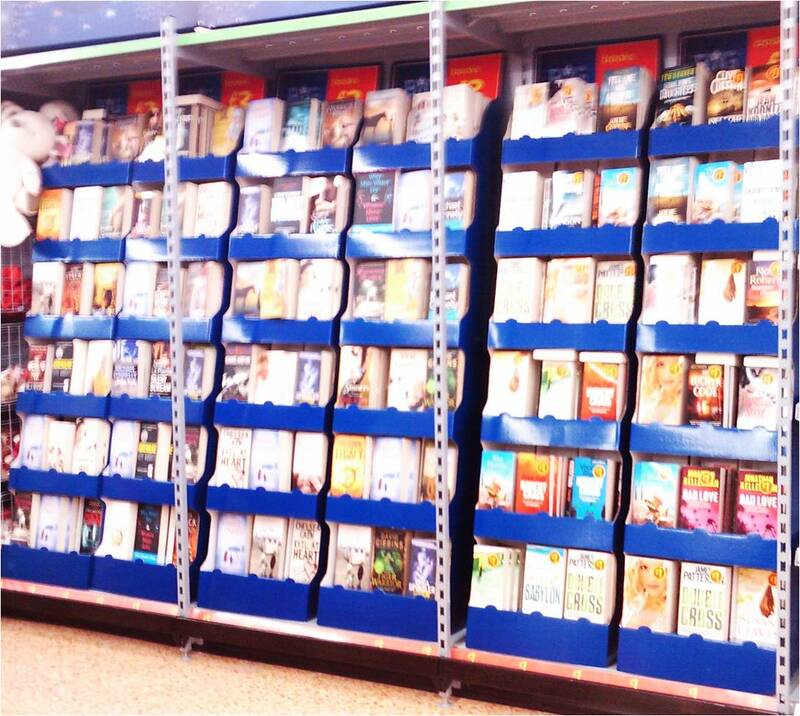 Has anybody done the maths on just how many ‘offers’ Asda has today on books and just how many units this adds up to? The interesting question someone should be asking is, who is merchandising and supplying this depth and range of offer across the Asda estate and whether it is just a seasonal offer, or part of a more permanent one? 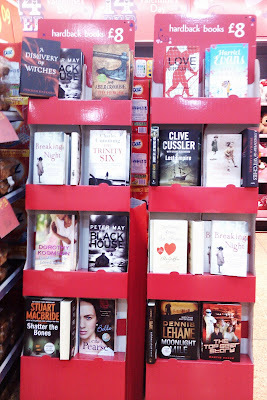 Today the UK press is covering Asda’s ereader offer, which is a bit strange given they don’t have an ebook offer – yet. The reader however will turn heads not because of its quality, but due to its price ticket of just £52. the perfect travel companion. 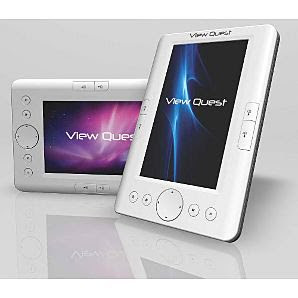 You can play music and videos with its built in speakers and a 5" widescreen, read eBooks in portrait or landscape mode, store and view photos and images and also has a built in voice recorder. The tablet is backlit for night time reading, and has a power saving mode to reduce eye strain and improve battery life. We found many available from all sorts of sites but could not get one for less than £99. They claim it is fully compatible with Adobe ACS4 DRM, so on the face of it and despite its screen, its cheap. So the question is where ASDA is going on books and the strategy of the other UK supermarkets, on what is becoming a high profile market opportunity? 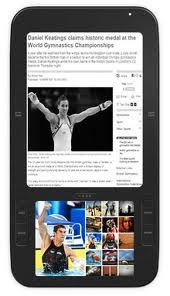 Google has unveiled it's tablet Android OS ‘Honeycomb’ which has been specifically optimised for tablets. To day over 145 devices running on Android, including a handful of tablets and as we reported earlier this week it is now the number one operating system on smartphones. In light of the ambiguous noise coming out of Apple this week, Honeycomb includes the ability to buy applications from a tablet, buy features inside the app, video chat and improved graphics. The in-app purchasing feature will enable developers make money by selling virtual goods and upgrades in their apps to users. Some of the new Honeycomb features are expected to find their way onto Android smartphones very soon. As we previously reported Motorola will be the first to bring Honeycomb to market with its Xoom device. but LG and T-Mobile are expected to follow with their G-Slate tablet. Google's has also changed Android Market and announced a web-based version that will enable users to browse and buy apps directly from the web. With Google’s cloud, users can send apps directly to any Android device in a few clicks. This is a vast improvement for both users and developers and it is the later that Google are clearly appealing to. Today Android may have over 100,000 apps in its store, Apple ahs over 300,000 in its store. Will Honeycomb compete with Apple’s iPad? Some suggest that if it is widely taken up by the manufactures, like with smartphones, it’s like spread betting as one or a number of tablet are likely to shine under it and Apple only have one iPad. Today we have the news that Dixons' stores are to join John Lewis in selling Amazon's Kindle e-book reader in the UK. 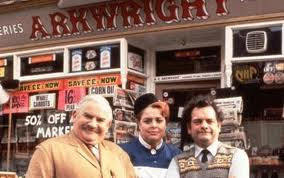 Dixons will sell Kindles through PC World and Currys outlets and not online. The price will be the same whoever you buy a Kindle from with the Wi-Fi model being £111 and the 3G-equipped version £152. To us this sounds a very logical step by Amazon in selling through trusted and experienced outlets trained to sell technology and spreads the Amazon offer onto the High Street. 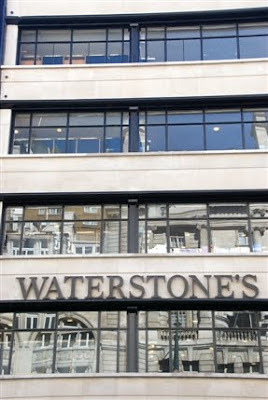 So we found ourselves in central London and thought we would check out what the three major book chains were doing in-store in their premier outlets with ebooks and ereaders. We crossed the road in search of the elusive ereader. 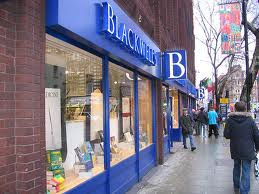 Blackwells again were without any signage or reference to ebooks or readers. So we went passed the stationary, the umbrellas and book cradles, to the information desk. Yes they sold ereaders in store, but not the Sony and did not have a display area. ‘Did we want to see one?’ The assistant went off to a staff area and returned with two boxes containing Elonex readers which were still wrapped in their covers. The lack of knowledge on what they did, or didn’t do, was embarrassing and misleading. He pointed out they played epub files ‘which can be bought from anywhere’ and when pressed this even included Amazon! We pointed out that these were LCD and not eInk screens and it was if we were talking a foreign language. They did have some POS material on a stand on the desk, which he read out loud as if we were a child. Again he didn’t take or even ask for our details so an expert could help us and allowed a potential £100 sale to just walk away. We entered the flagship store expecting so much, but soon understood that our previous experience was clearly not an exception, but probably the norm. Again no signage or reference on the extensive directory, but we knew where to go and headed straight to the bank of checkouts, past the information desk that was busy and sure enough we found the same bolted down display and POS we had seen on Bath. This had just four units and two dictionary type gadgets. We hovered, we started to play with the devices, but two of which appeared to be frozen. We looked around for help, but not an assistant in sight and the two on the checkouts were busy serving customers. We decided to go back and ask for help at the information desk and the lady suggested we ask the checkout operators. We pointed out that they were busy, so she offered to come and help, but explained she knew little about the devices. Bless her, she did try to read out the limited POS and clearly was out of her depth. When we asked about the POS pricing over the shelf which offered a ‘get VAT back’ price and quoted the net price and the VAT back, she had to ask the checkout operator. They said that the offer was an old one that finished at Christmas and the VAT back was done by Sony. We hid our amazement that they openly had misleading and out of date pricing on display and clarified that we had to add the two elements together to get the price! The two Sony readers were stickered as ‘out of stock,’and when we asked about the apparent stock in boxes under the shelf, were told those were all empty and should have been removed. Their admission, not ours! The checkout assistant took over our enquiry and the information assistant went back to her station. The second assistant knew a little more but it was a little. She recommended the top of the range Sony because 'it does more than just reading and can play MP3 files'. When we asked what the difference between the iRiver and the Sony was she quoted number of files and battery life as two major differentiators. We said why the number of files matters as we don’t expect to buy and read 1.000 let alone 2,000 ebooks! We asked about the battery life which she said was based on page turns and we had to point out that the limited POS next to the device said that the iRiver could in fact do 1,000 more page turns than the Sony. She pointed out the Sony reader had 12 dictionaries included, which nearly prompted us to ask if she always carried a dictionary around when she read a book? She did try very hard to sell us a Sony top of range ereader. However when we asked why it was in landscape and could we see it displayed in portrait like the cheaper reader she was unable to change the setting and even navigate the basic features. We asked when the Sony devices would be back in stock and she went off to check. She quickly returned to say that didn’t have any on order, but there appeared to be stock in another store if we were interested and she could ring them. We suggested we needed to think about it and despite spending time with us and obviously keen to sell us the top of range Sony she failed once again to even ask let alone capture even the basic customer details. As we were leaving she offered a small flyer stating it would tell us more about the devices. The flyer was in our opinion a waste of paper except it did give a 0845 telephone number where we could get help. Now why didn’t she at least tell us that? When Amazon is selling its devices through technology and trusted retailers, why are these booksellers not making the effort to train staff, provide informative and accessible literature, capture interest and at least appear serious about digital? 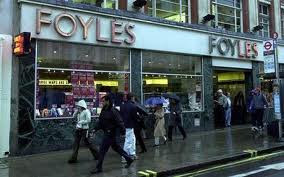 Would we buy any ereader from these stores today - no. How are they going to build a digital business when they clearly are sending out at times misleading and disinteresting vibes in-store? Books are books be they digital physical, audio, print on demand, front list, back list used etc. Ironically, we wrote this piece on the very day the BA (Booksellers Association) emailed a newsletter to all their members provide them with sound advice on a retail strategy to sell ebooks. We also suggest that bookshops watch Mary Portas's 'Secret Shopper' that was broadcast tonight channel 4 and take on-board some of the sound advice she gave mobile phone sellers . Imagine a world where you don’t need to leave your comfy armchair to go to the library, the cinema, the newsagents, the bookstore and the gallery? We are not taking local ones but global ones and virtual national libraries and galleries. Why go to the Palace of Versailles or a national library when you see a virtual tour from literally anywhere? Image Thomas Crown planning to rob a painting from the Metropolitan Museum today. Google can provide the instant floor plan and probably identify all the detectors! Now Google's Street View technology is to be taken indoors to capture some of the world's most famous art galleries, such as, Tate Britain, the National Gallery, the Metropolitan Museum of Art in New York, the State Hermitage Museum in St Petersburg and the Palace of Versailles in France. There are some 17 museums which have agreed to offer 360 degree virtual tours of their galleries. In addition to the 1000 artworks on gallery walls, each gallery is offering one painting to be captured in around seven billion pixels, making around 1,000 times more detailed than an average digital camera. No more school trips, it can be done in the classroom. However, the museums believe that rather than deter visitors the service will stimulate even more visitors. Yesterday Apple, as it often does, threw what some though was a ticking bomb into the ebook world. The company has told applications developers, including Sony, that they can no longer sell content, like e-books, within their apps, or let customers have access to purchases they have made outside the App Store. The problem with Apple is that it controls its app world with an iron fist and as already documented is capable of changing the rules as it sees fit and with no recall and then changing them back just as quickly as it did last years on its stance on developer tools. We are all realising that the power is in the access and interoperability, not in closed worlds. Kindle is making its device successful despite the iPad, because consumers recognise that Amazon is a platform and that its device is independent and the Kindle device is a bonus but not a nessessity. Couple this with a ‘cloud’ approach and we start to see a significant game change where the likes of Amazon, Google and Kobo benefit and the likes of Sony and Apple don’t. The money is in the eyeballs and content not in the tin. How would the move effect Amazon.com? They offer free mobile apps specifically to give customers the ability to read their e-book purchases on all devices allowing an iPad owner to still to buy and read Kindle books bought from Amazon on their iPad. How would effect any exclusive Kindle Editions or where a publisher doesn’t have a contract with Apple for a title? Apple has great tin, innovation and music business, but no book understanding. According to research firm Canalys, Google Android is now the No.1 mobile operating system in the world,. The claim is made in a new report from Canalys and states that 32.9 million Android-based phones shipped worldwide in the fourth quarter. That is greater than the 31 million Symbian-based phones that shipped over the same period. The rise in take up of Android is breathtaking with a growth from just 9% to 33% in year on year figures! Symbian has dropped from 44.4% to 30.6% market share, whilst Apple achieved 16.2 million or 16% share and in forth place RIM 14.6 million and 14.4% share. Meanwhile Microsoft has clearly lost what ground it had and only achieved 3.1million compared with 3.9m in Q4 2009. Its also worth noting that some 2 million of these were Windows Phone 7 OS which clearly indicates that it isn’t making the impact they desired and a third of shipments were still on the old Windows Mobile OS. Not only is this the first time Symbian has been overtaken but it seriously questions where Nokia are going and whether they are losing their grip of this new smartphone market. It also shows the brilliant strategy adopted by Google to focus on the system and not try to create a one stop environment. It reminds us of that killer move Microsoft made against Mac way back when Windows was accepted by all the manufacturers and Mac was let by itself. 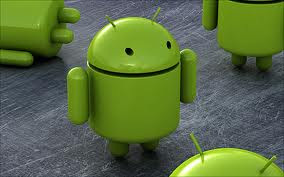 Google first unveiled Android in late 2007 and was widely accepted by carriers and manufacturers alike. Google are currently working on 3.0 version of the Android platform, which is being configured specifically to run on touchscreen tablet computers. They again have chosen an inclusive approach. The U.K. Office of Fair Trading (OFT) is investigating antitrust complaints related to digital-book pricing, after receiving "a significant number of complaints." The investigation is over the new agency pricing model and follows similar investigations that have been initiated in the US by attorneys general in Connecticut and Texas. The agency model, forces retailers to adopt prices set by publishers ensures by contract that these are not undersold. The retailer merely becomes an ‘agent’ and collects a fixed percentage of each sale. The major publishers who have adopted this practice include Penguin, Hachette, HarperCollins, Simon and Schuster but do not include Random House who have elected to stay outside of the practice and continue to trade all their books via the existing wholesale model. Any online retail or wholesaler who does not accept agency pricing is effectively starved of agency priced titles. Some would say this was a clear return to retail price maintenance, albeit on a selective basis and as such restricts retailers and also means that consumers do not benefit from a free and open market and competitive pricing. The practice was initiated at the launch of the iPad and was strongly advocated by Apple and opposed by Amazon. The publishers claimed that it was Amazon’s deep discounting that had driven them to take control of pricing. Some suggested that the fact that it only was applied to ebooks and not physical ones, which were equally being discounted, would suggest the driver was aimed at building an alternative eplatform for Apple and assisting their launch. Some would suggest it was also aimed at enabling publishers to establish their own direct market offers free of being undersold by retailers. The claim by some was that this would create a level playing field for all retailers but the reality is that many retailers today face pricing challenges, not on ebooks, but on suicidal discounting and trading on physical books. There are many questions over contracts that prohibit any discounting and also whether the UK companies had any choice but to follow their US ‘parents’. Why does agency pricing only apply to digital. In 1962, The UK courts declared that, the then Net Book Agreement (NBA) was in the public interest to allow publishers to subsidise works of authors. However some would suggest that the NDA stifled creativity as much as it supported it. But today’s return to fixed pricing is not in support of creativity but to control pricing nothing more. It may ironically kick start even more authors to go digital by themselves with the likes of Amazon offering authors attractive ‘agency’ royalties. The agency model is to some is a backdoor return to the NBA, albeit the eNBA. The NBA/ agency model is not bookselling, nor is it retail, it is a false economy that hurts the one person who puts real money into the mix – the consumer. We believe that the agency model is flawed just as the NBA was. Digital renditions are over priced and the real control is with the aggregators, new entrants, technology providers not any publisher. We welcome the investigation but are cautious of it delivering a blow to the agency model and remember their investigations and findings into the initial CD price issues many years ago.